Airline Mega-Mergers: 'Good, Bad And Ugly' The proposed marriage of American Airlines and US Airways is likely the last in a series of industry mega-mergers. But history suggests combining two big carriers isn't easy. Meshing cultures and dealing with pilot seniority add to the complexity of combining airlines, analysts say. A United Airlines aircraft passes by a Continental Airlines plane at Ronald Reagan Washington National Airport in 2006. Their merger, begun in 2010, has been difficult, analysts say. The proposed marriage of American Airlines and US Airways announced Thursday is likely the last in a series of industry mega-mergers, but history suggests combining two big carriers isn't easy. "The history of airline mergers in the U.S. is good, bad and ugly," says Henry Harteveldt, a travel industry analyst at the consulting firm Hudson Crossing. He and many others point to the 2008 union of Delta and Northwest as the best merger in recent memory. "Delta and Northwest had already been cooperating on a number of different issues," Harteveldt says. "They were members of the same airline alliance, they cooperated on certain international flying; they had a complementary route network; they had similar cultures; they had a similar approach to doing business." Delta hired a former head of Northwest to lead the combined airline. And Daniel Kasper, a consultant at Compass Lexecon, says Delta did something else that was very smart: Pilots from both airlines wanted a deal, and Delta told them it wouldn't happen unless they could agree in advance on how they would merge their seniority lists. "For pilots, seniority is critical; it defines what airplanes they fly, what schedules they fly, and ultimately how much money they make," Kasper says. It also determines who loses their job, if the new airline downsizes. Integrating pilot seniority lists is one of the most difficult aspects of airline mergers. For example, roughly eight years have passed since US Airways merged with America West, and the airline is still operating with two separate sets of pilots who won't fly together. 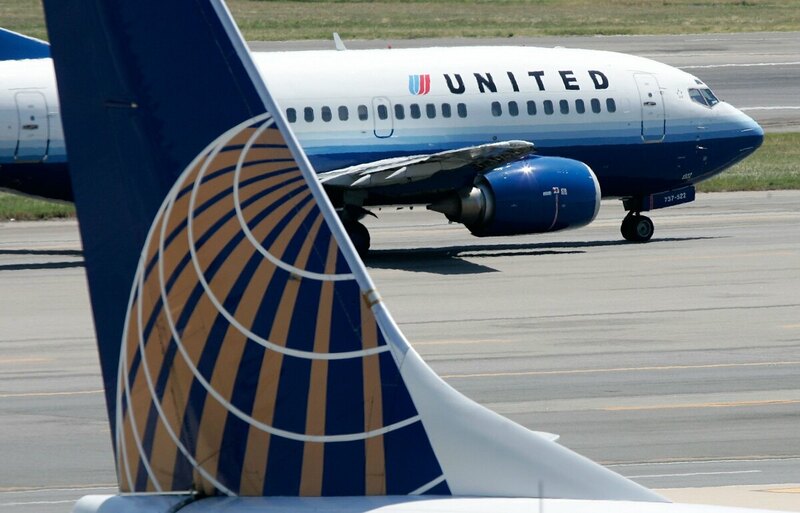 Pilot integration has also been an issue in the United Airlines/Continental Airlines merger. And Kasper says other parts of the 2010 merger have been challenging, too. "That was a really complex one to begin with," he says. "You had two large, well-established airlines, and certainly there was no love lost between Continental and United to begin with." Their cultures were very different, as was the passenger experience. Analyst Harteveldt's assessment of that merger is harsh. He says Continental had been known for good customer service, but United's new leadership, which came primarily from Continental, squandered that goodwill. Harteveldt says the company didn't do a very good job melding the technology systems or the reservations process. Flight operations weren't smooth either. Last July, for example, fewer than 65 percent of United's flights were on time. "It's very, very interesting to see what happens when you act with arrogance," Harteveldt says. "When you don't pay attention to the details, when you take your business for granted, and unfortunately that's what happened with United." Still, experts believe that merger will ultimately be successful in financial terms. As for the marriage of American and US Airways, Standard and Poor's analyst Philip Baggaley says over the long run it too will likely work out financially. But he says, "We don't see quite as much potential as we did with Delta/Northwest or United/Continental." Baggaley suggests that the route networks of American and US Airways don't complement each other as well as those in some of the other mergers — and he suggests that internationally, there would still be missing pieces. "Neither of them is strong in the Pacific; they don't have many of their own routes there," he says. And as Baggaley points out, international flights with full-fare business travelers are the most lucrative. He cites another potential problem. "We think that a merger would raise labor costs possibly by a fair amount," Baggaley says. The pilots of American and US Airways are slated to get a pay raise as part of the deal. It was one of the carrots that US Airways offered to American's pilots to get their support for the merger. Labor costs are, of course, a huge factor in the airline industry, and they can make the difference between a carrier making money and not.